Seating 6 people comfortably, the San Elba 70-Jet Spa is the perfect unit for those that love to entertain! The spa features two captains chairs, an interior step/cool down seat, 16 programmable LED points of light and a 3-inch LED multicolour underwater light. 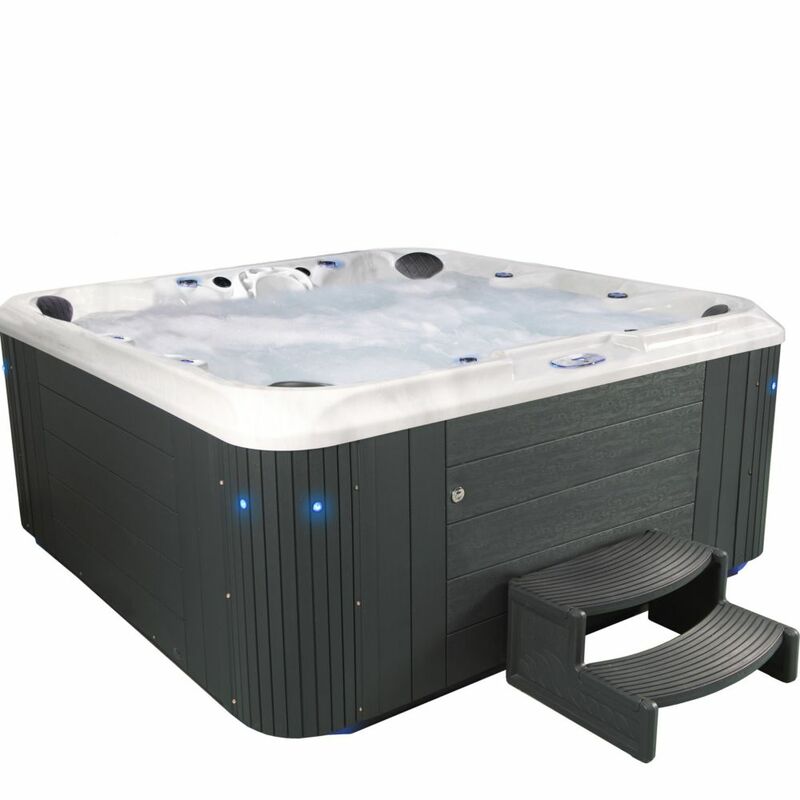 Eminence 80 Jet Grey Acrylic Hot Tub 240V Take elegance and affordability to the next level with Aqualife's Eminence spa. All 60 stainless two-tone jets and 20 stainless steel jets are powered by 3 high performance pumps that give quality zone-controlled seating. Each of the 4 captain's chairs features neck and shoulder jets and delivers optimum hydrotherapy from head to toe for you and up to 6 other people to enjoy. Customize your experience even further with this Bluetooth compatible spa. Housing two speakers in the heavy-duty acrylic shell and a subwoofer in the no maintenance exterior you have endless possibilities at your fingertips. This energy efficient 240V spa uses a 4kW Balboa all-season stainless steel heater that will continue to deliver maximum heating even during cold winter nights. Completing your spa is an insulated heavy-duty tapered cover, made a full inch thicker than industry standards, with locking clips to close your spa off from nature.